Meet the Newest Members of the STI Team! Angelica Corcoran, RDH, BS, PHDH, has more than 19 years of experience in dentistry, merging incredible technical knowledge and clinical skill set with her natural sensibilities of compassionate patient care and inspiring leadership. She ascribes to the partnership style of coaching and mentoring, taking a holistic and systemic approach to oral health that includes nutritional counseling and general wellness. Angelica is an amazing communicator seeking first to understand, then to be understood in her interactions, so as to create mutual trust and understanding. In 2014, Kasey received her Bachelor of Science degree in Nursing from Curry College. She has experience in urgent care at Good Samaritan Hospital on the Medical Surgical Unit as well as with hospice and oncology. At the South Shore Hospital, she was a Primary Care Triage nurse. Kasey is thrilled to be on board at STI and looks forward to watching the students grow. She enjoys spending her free time with her two sons– ages 3 & 12. She also is starting her second year of the Family Nurse Practitioner Program at Regis College. Mrs. Karcz has been an instructor for over 22 years; her passion for the industry is just as strong today as it was 22 years ago. A graduate of Fall River Beauty Academy, Mrs. Karcz started her career as a stylist in a small salon and established enough clientele to open her own salon 5 years later, and was successful for 37 years. After graduation, Mrs. Karcz attended advanced classes at Arthur Angelo’s Cosmetology School. Her passion was completed when she received her instructor’s license and could share her experience with students who have the same passion. Her advice to students is to “do what you love and love what you do! The sky is the limit.” She looks forward to being a part of the STI staff. Renee graduated from Rivier University in 2014, where she received her Bachelor of Science degree in Nursing. Upon graduation, she was employed as a Registered Nurse in Texas where she was part of a medical team and helped to develop patient treatment and care plans. She currently works as a Floater at South Shore Hospital in their trauma center where the focus is on patient care and education. Renee is excited for the opportunity to work with students from the beginning to the end–helping them learn, grow, and graduate! Outside of work and teaching, Renee enjoys reading and yoga. Danielle started her dental career in high school as a student intern and later attended the same school for dental assisting. She worked as a Certified Dental Assistant for 11 years before pursuing a career in dental hygiene. 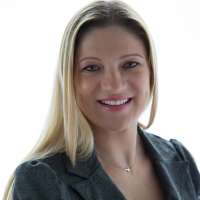 Danielle is a graduate of Massachusetts College of Pharmacy and Allied Health (MCPHS University)/ Forsyth School of Dental Hygiene where she received her Bachelor of Science degree in Dental Hygiene. She also returned to Cambridge College for a Masters degree in Health Care Management. 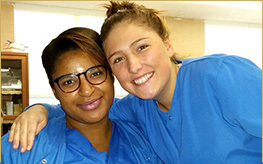 Before becoming the new program director for STI’s Dental Assisting Program, Danielle was a Compliance Officer/Dental Board Investigator for The Commonwealth of Massachusetts Department of Public Health. 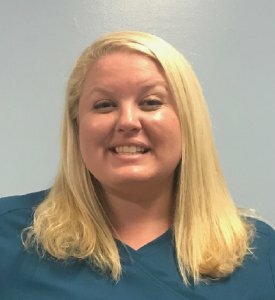 Danielle continues practicing dental hygiene on Saturdays where she enjoys having the opportunity to form relationships with her patients as well as educating them on the importance of oral health. 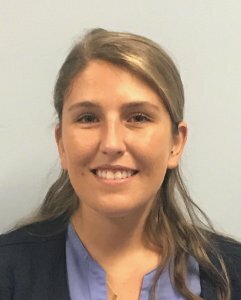 She enjoys helping patients understand how oral health affects their overall health as well as helping them to understand their role in the process. Brooke is a graduate of Gibbs College with a Medical Assisting degree. She went on to pursue a Bachelors in Sociology from UMASS Boston. 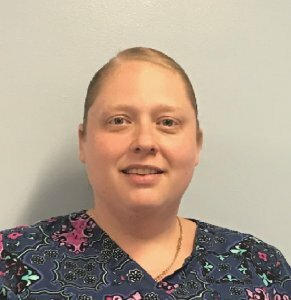 Brooke has 14 years of medical assisting experience which began in a pediatrician’s office. She was also employed at Children’s Hospital in Boston and most recently at Mass General Hospital. Brooke is very excited to begin her new role at STI. She looks forward to working with the future generation of medical assistants helping them explore their vital role within the medical field. Brooke enjoys spending time with her fiance, reading books and traveling.